A superb selection of special Loch Lomond short breaks, hotels savings, discounts and hotel deals in Loch Lomond for you to discover. Choose from leading romantic country accommodations to luxury lochside hotels, country spas and friendly traditional Scottish inns and guest houses near Loch Lomond and the Trossachs National Park. For the best price hotel deals in Loch Lomond we recommend Late Rooms. For the top discounted autumn hotel breaks in Loch Lomond we recommend Macdonald Hotels. 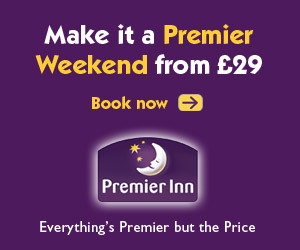 Need A Loch Lomond Hotel Last Minute? Glasgow is home to great nightlife, theatres, museums, sports and city breaks and has some of Scotland's most attractive architecture, a lively arts scene and incredible shopping. Scotland's vibrant capital, Edinburgh is home to the famous Castle, Tatoo, Festivals, The Royal mile and attracts millions of visitors to its cobbled streets each year. Book your hotel deal ahead in these Scottish cities within driving distance of Loch Lomond. Set amongst one of Scotland's most beautiful areas of countryside the spectacular Loch Lomond is a great place for a hotel weekend break in the Scottish autumn and could just be one of the UK's most romantic destinations with towering mountains, woodland forests and magnificent loch views all on offer within 30 minutes drive of Glasgow city centre. The Arrochar is situated at the foot of the ‘Arrochar Alps’ on the shores of Loch Long. The stunning views across the Loch to the mountains provide the perfect background to a short break in this fantastic location. Take advantage of the onsite free parking at the Arrochar hotel and discover all that this beautiful area has to offer. The Arrochar is only 1 ½ miles from the beautiful Loch Lomond and is ideal for visiting Glasgow, Oban, the Trossachs and Stirling. A warm and friendly welcome awaits guests to the Arrochar, as you step into the former coaching inn you are instantly immersed with a sense of tranquillity and Scottish charm. When dining at the hotel, sample the many traditional Scottish dishes on offer in the fantastic restaurant and enjoy the glorious Loch views. After dinner relax with a fine malt whisky in the lounge bar before heading up to your comfortable guest room for the evening. All of the guest rooms at the Arrochar feature modern amenities for comfort throughout your stay. Each room features en-suite bathroom, TV, tea & coffee making facilities and room service and is perfect for relaxing after a busy day discovering the area. Elegant surroundings, fine dining, first rate facilities and breathtaking waterside views come together at the Cameron House on Loch Lomond to create a truly magical hotel experience. Picturesquely placed on the banks of Loch Lomond, this fabulous retreat is a calm and serene sanctuary away from the stresses of daily life. Step inside your guest room at the Cameron House on Loch Lomond and discover a secluded and luxurious haven. From the crisp linen to the invigorating monsoon showers to the iPod docking stations, everything in the spacious guest rooms have been designed with your comfort in mind. After getting settled, make your way to the Cameron House on Loch Lomond Carrick Spa and let all your troubles met away with an indulgent beauty treatment (charges apply). You can also take a dip in the swimming pool, work out in the gym and unwind in the sauna in the hotel’s Cameron Club. If you prefer the great outdoors, why not take in some glorious views and a round of golf on the fabulous Cameron House on Loch Lomond Championship Golf Course. The Best Western Buchanan Arms Hotel & Spa, with its stylish blend of original features and contemporary design, offers comfortable and modern bedrooms with spacious public areas, all recently refurbished. The relaxing lounge with open log fires, conservatory and traditional whisky bar offer a selection of snacks and light meals, while the popular Salmon Leap restaurant is open daily for lunch and dinner. Our superb Leisure Club is available to all guests with pool, sauna, jacuzzi, steam room and gymnasium, aswell as the brand new, award winning Haven Spa, which offers a wide range of pamper treatments and beauty boosts. Take a stroll through the hotel grounds to the viewpoint for stunning views overlooking Loch Lomond or explore the nearby countryside of the Loch Lomond & Trossachs National Park. The Rowardennan Hotel lies in the shadows of Ben Lomond, Scotland’s most southerly Munro and is a welcomed stopping point for those walking on the popular West Highland Way route from Milngavie near Glasgow, to Fort William in the north. Set amidst idyllic scenery with outstanding views of the loch, Ben Lomond and the mountains to the north, the Rowardennan Hotel is the perfect place for a “get away from it all” break. The area is ideal for those who enjoy the peace, tranquillity and the outdoor life. Set in the heart of the Loch Lomond and Trossach’s National Park in Scotland this is a great place to escape the hustle and bustle of city life. Within only an hour of Glasgow city centre you would think that you were in another world. The rural setting of Rowardennan is approximately 15 minutes drive from Balmaha and 25 minutes from Drymen. The Lodge on Loch Lomond Hotel truly is a unique destination. Set amidst some of Scotland's most idyllic and unspoilt areas, it is engulfed by a natural beauty, surrounded by some of the most spectacular scenery in the world. A hotel, which offers all the intimacy, warmth, charm and atmosphere, that only a family run hotel could. Yet has the four star quality of service and standards that have attracted two United States Presidents. Where you can leave behind the stresses, strains and distractions at amberspa, our very own pool and spa complex. Situated 30 minutes from a great European City, Glasgow, which offers the best shopping outside London as well as museums, restaurants, bars, theatres, concerts and cinemas. A perfect setting for a visit to Loch Lomond, a romantic wedding, a business conference, seminar or a very special event. Take a detour from the well trodden tourist route and discover a real Scottish welcome at the Oak Tree Inn in the picturesque village of Balmaha, Loch Lomond. Situated on the quieter eastern shore of the loch, this family owned inn gives you the perfect base from which to explore the stunning countryside or take a cruise on the loch. Standing in the shade of a magnificent 500 year old oak tree, this unique country Inn which is constructed from locally quarried slate, offers a perfect tranquil location for those wishing to escape from the rush of modern day life. Our B&B accommodation consists of deluxe, standard, single and bunk rooms, some of these are located in traditional cottages nearby. Situated in the heart of the conservation village of Drymen, you'll find Ashbank Bed & Breakfast. This brand new B&B comprises 3 en-suite bedrooms which can be adapted as twins or double rooms. One double bedroom can sleep up to 3 and one has wheelchair access and a fully adapted wet room shower. All bedrooms have LCD TV's, tea & coffee making facilities and free wi-fi. Our rooms are all finished to a high standard. It's conveniently located close to local shops, pubs and restaurants. Drymen is the first stop on the West Highland Way and attracts many walkers. It's also the perfect base to explore nearby Loch Lomond and the surrounding Trossachs area with it's outstanding natural beauty and array of outdoor activities such as golf, cycling and hill walking to enjoy. Tarbet Guest House is situated In Scotland’s first National Park and has an elevated position high above the village of Tarbet and enjoys spectacular southerly views down Loch Lomond and towards the western side of Ben Lomond. Tarbet Guest House is set in 6.67 acres of private gardens. To the north east side of Tarbet Guest House we have woodland which is frequented by deer and other wildlife. Of a particular note is the waterfall which feeds various deep pools on the East Burn on its way to Loch Lomond. Tarbet Guest House was cleverly designed to take full advantage of the sites elevated position and the stunning Loch Views. With this in mind, the lounge and dining areas both have floor to ceiling windows, stretching the entire length of both rooms. The views from here are truly breathtaking! Patio Doors open out onto a south facing, decked sun terrace. Each guest suite is tastefully and individually furnished with their own en-suite bathroom and individual sitting area. With Loch Lomond situated on the east of Scotland, relatively close to both Glasgow and Edinburgh, planning a short break in the Trossachs is an ideal way to explore this stunning area of Scotland. Hotel accommodation in Loch Lomond offers prices and packages to suit all ages, tastes and budgets, with many of Scotland's prestigious hotels and private country estates offering guests true luxury in every sense of the word. A year round destination for couples and newlyweds, the loch is a popular choice for romantic breaks in Scotland and is undoubtedly one of Scotland's most charming places with Valentines weekend couples and honeymooners visiting by the thousands every year. Loch Lomond is not all about romance however. It offers many tourist attractions and activities from adrenaline fuelled adventure to a self led walks (Balmaha Forest and Conic Hill Walks are fantastic) so you would never be bored on the banks of Loch Lomond and indeed in The Trossachs National Park. Loch Lomond events include traditional Highland games, ceilidhs and festivals (dependent on the season) with the family friendly 3 day Lomond Folk Festival being a highlight over the summer. Loch Lomond also entices visitors to its shores thanks to its beautiful islands and loch's fishing and boating opportunities. Many Loch Lomond hotels and guest houses offer loch cruises and private moorings from their loch-side, with kayaks, wind surfers, canoes and jetskis available to be hired at designated activity centres around The Trossachs National Park. For those walkers looking for a good day's hike while staying in Loch Lomond, Ben Lomond, a Scottish Munro can be scaled while Scotland's famous 'West Highland Way' runs along the eastern bank of the loch from Drymen to Balmaha. Golf, cycling and shopping opportunities also exist with the Loch Lomond Shores shopping complex near Balloch offering holiday makers a chance to shop and dine at numerous restaurants and cafes overlooking the southern end of the loch.